Home » The Black Comics Expo takes over the BAM this Sunday! Also, Afro-Feminist VR! The BAM, or the Brooklyn Academy of Arts, has become a symbol of power for black representation. It’s even appropriate that the acronym itself, BAM, evokes the sound of an explosion. From screenings of Black Horror documentaries (I’m talking about Horror Noire, which had its NY premiere at the Academy’ Rose Theater on February 4th) to film series on Black Superheroes (which had a successful run last year), the BAM really has become a place black nerds, readers, and fans can indulge and rejoice in a culture all of their own. On February 10, the BAM will hold its second annual Black Comics Expo, a showcase of black creativity that already had an explosive first year. 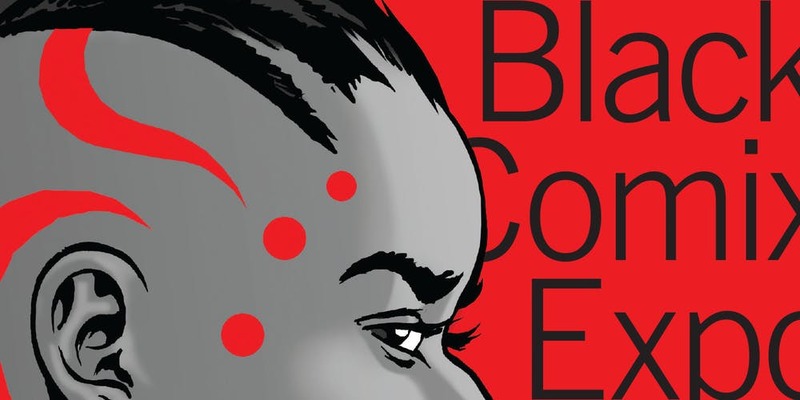 It is co-presented with The Black Comics Collective, an NYC-based collective of black comic creators and readers founded in 2017 by Deirdre Hollman. The consensus was that the first Expo set the bar quite high, especially in terms of attendance (which saw the BAM filled to capacity). I would advice getting there early and ready to make a line, although word on the street is that it moves at a steady pace. The show starts at 11am and wraps things up at 5pm and will extend throughout multiple locations in the Peter Jay Sharp Building, including LePercq Space, the BAM Rose Cinemas, and the Natman Room. An award-winning VR platform, transports visitors into a NeuroCosmetology lab, a reimagined Black hair salon placing the user into a Black woman’s body giving a glimpse into a speculative future of Black women pioneering brain research through the culturally specific ritual of haircare. It’s these types of activities that set comic book events apart. 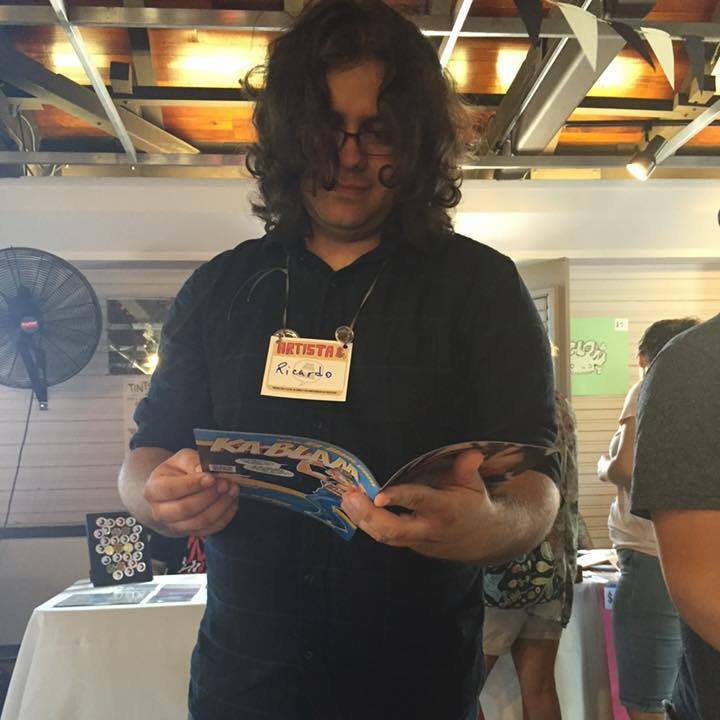 In a convention scene that sometimes struggles with sameness—especially with bigger cons like NYCC and SDCC—experimentation makes all the difference. The Expo seems to be heavily invested in Afrofuturism, as is made obvious by the VR experience. Supporting that, Ashley Baccus-Clark, Sheeba Maya, Ashley A. Woods, and Melanie Marie Goodreaux are set to speak about Black Women in sci-fi. This panel of artists, playwrights, neuroscientists, illustrators, directors, and poets promises to be one of the most important of the event. The talk suggests black representation must be aware of the diversity within its community. The recent Black Comic Book Festival at the Schomburg in Harlem also touched upon black sci-fi and even framed it under the context of Black Lives Matter. The overall message? Black representation matters. The Black Comics Expo will feature around 40 comics creators. Much like the Black Comic Book Festival at the Schomburg, this event offers the chance to discover new talent in the black comics scene. Emerging and veteran voices will unite for an expression of black presence and representation in the industry in what looks like the rise of another important comics event. If you’re around the Brooklyn area, or can get to it, make sure to show the second annual Black Comics Expo some love. Be a part of what can now officially be considered, without a doubt, a black comics movement.